San Francisco, July 12, 2016 - Following formal adoption today of the EU-U.S. Privacy Shield, TRUSTe has announced a full set of solutions for companies to address the assessment, verification and dispute resolution requirements in the new framework. TRUSTe will help companies to review compliance with the new Privacy Shield principles for transfers of customer and HR data out of the EU, prior to self-certification with the Department of Commerce. Companies choosing to use TRUSTe technology for handling customer disputes will be entitled to display a new “Powered by TRUSTe - Privacy Feedback Button”. 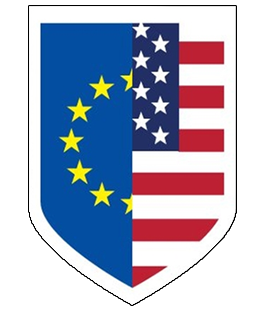 The EU-U.S. Privacy Shield is the new international data transfer framework published in February to replace Safe Harbor. The new framework requires that companies meet stronger obligations to protect the personal data of Europeans and introduces stronger monitoring and enforcement by the US Department of Commerce (DOC) and the Federal Trade Commission (FTC). TRUSTe will amend its certification standards to reflect the changes. The Department of Commerce is expected to start accepting submissions to the program on August 1. Chris Babel, CEO TRUSTe said: “Today’s news brings relief and certainty for thousands of companies looking for a clear framework for legal compliance when transferring EU personal data to the US. It’s also good news for consumers with greater protection for their data and more visibility of how they can raise concerns with our new privacy feedback button. “It’s in everyone’s interests that this new framework is robust and successful. At TRUSTe we’re ready to support companies in quickly ensuring compliance with the strict new requirements drawing on our long history of EU data transfer compliance solutions and innovative privacy technology platform”. TRUSTe is offering three separate packages to support companies in assessing and verifying that their data protection practices are compliant with the Privacy Shield principles ahead of self-certification with the U.S. Department of Commerce. The Assessment Package and Verification Package can include customer data, HR/employee data or both. The TRUSTe assessment and verification solutions for EU-U.S. Privacy Shield are managed by a team of privacy professionals using our proprietary assessment methodology and powered by TRUSTe Assessment Manager. This award-winning SaaS-based privacy technology platform provides interactive compliance reviews, centralized on-demand reporting and searchable audit trails. For more information on TRUSTe’s EU-U.S. Privacy Shield solutions visit www.truste.com/privacy-shield or call on 1-888- 878-7830.